The black coupe pulled up outside the Starlight Casino in a suburb of Vancouver. The driver got out, greeted a man in a red shirt, and pulled two bulging white plastic bags from the trunk. He led the way into an empty noodle shop next door, where he handed over the bags before returning to the car. The man in the red shirt took the bags into the casino, through a cavernous glass lobby with signs in English and Mandarin. At a cashier’s desk, he opened one of the bags to present his cargo: thousands of green $20 bills, bound into loose bricks with yellow plastic bands. The cashier’s counting machine would need to run continuously for more than 10 minutes to riffle through all the notes, which came to more than $250,000. Converted into chips that could be cashed out later, whether or not they’d been wagered at the tables, the money would be spendable anywhere in Canada, unimpeded by questions of provenance. It’s a product of one of the largest financial flows of the 21st century: The money being frenetically shuffled by millions of wealthy Chinese into safe assets abroad, in defiance of their country’s capital controls. Since mid-2014, capital flight from China may have totaled as much as US$800 billion, according to estimates from the Institute of International Finance. In Vancouver, the tidal wave has wrought a dramatic economic, demographic, and physical transformation. Alberni Street, a formerly dowdy downtown thoroughfare, has in the past decade welcomed a two-level Prada boutique with a black marble facade, one of the largest Rolex showrooms in North America, and a 62-story tower with a five-star Shangri-La hotel. All have Mandarin-speaking staff. In May, Rolls-Royce chose Vancouver to unveil its first sport utility vehicle, which starts at more than US$300,000, hosting a Champagne reception at its sleek new local dealership in an upmarket neighborhood about two miles south of Alberni. Six sold on the first day—bound, perhaps, for the “car condo,” a kind of luxe garage with customizable suites that’s being built in a majority-Asian suburb. The units start at more than $800,000, and the first batch recently sold out. When Canada, hungry for foreign workers and investment, liberalized its immigration policies in the 1970s, Vancouver again became a natural destination. Many people came from Hong Kong, a trend that accelerated after the U.K. agreed in the early 1980s to hand back the city to China in 1997. In 1988, Li Ka-shing, a Hong Kong real estate and infrastructure tycoon, agreed to pay $320 million for a stretch of industrial land on False Creek, the narrow inlet that separates the city’s two peninsulas. It was the largest land deal in Vancouver’s history, and the slender, glassy residential towers that Li erected there established the template for rapid redevelopment elsewhere in the city. Buildings like these welcomed many more Hong Kong immigrants, an increasing proportion of Taiwanese, and, eventually, mainlanders, many of them wealthy. In greater China, Vancouver became almost a byword for prosperity: One of Cathay Pacific’s daily flights from Hong Kong is numbered 888, the luckiest possible three-digit set. Canada admits about 300,000 new permanent residents a year—a much higher proportion, relative to population, than the U.S.—and all its major political parties tout the economic and cultural benefits of immigration. Polls consistently show similar attitudes among the public. Vancouverites have tended to welcome new arrivals in part because they’ve brought in money—and lots of it. Thanks substantially to purchases by wealthy foreigners, the city’s property values are now the highest in the country. The median cost of a detached home in Vancouver proper has tripled since 2005, to $1.5 million, making millionaires of thousands of homeowners. British Columbia’s center-right Liberal Party, which governed from 2001 until last year, long downplayed the role of overseas money, accepting developers’ arguments that high prices were the fault of a Byzantine planning bureaucracy and shortages of buildable land. But in 2016, with an election coming and real estate values continuing to skyrocket, the Liberals imposed Canada’s first tax on foreign purchasers, a 15 per ent surcharge applied to anyone without Canadian citizenship or permanent residence who was buying a home in or around Vancouver. For many voters it was too late, and the opposition New Democratic Party narrowly won power after promising to restrain the market. The new NDP premier, John Horgan, increased the surcharge to 20 per cent and expanded its geographical scope. His government plans to levy a 2 per cent annual fee on vacant property owned by foreign investors and has begun closing loopholes allowing buyers to dodge taxes on condo purchases and property transfers. Of course, for these changes to be effective, the government will need to know who actually owns property in Vancouver. Statistics Canada didn’t release figures on foreign real estate ownership until 2017, when it reported that nonresidents of the country owned more than 7 per cent of the city’s dwellings. The federal housing agency says that’s an underestimate, though, because overseas investors can route purchases through Canadian relatives or shell companies. In 2016, Transparency International found that the ownership of almost half of Vancouver’s 100 most expensive properties, representing at least $1 billion in anonymous wealth, was effectively untraceable. David Eby, British Columbia’s new attorney general, has experienced Vancouver’s transformation more directly than most. A member of the provincial legislature for the NDP since 2013, he represents Point Grey, an affluent area whose secluded beachside mansions include several of Canada’s most expensive properties; the median home there is worth about $3.2 million. Even while Eby was in opposition, it was apparent to him that his community had what he calls “a very clear link with international activities and laws, specifically China’s currency restriction.” In 2016 he disclosed that $57 million worth of real estate in his district had been purchased by students with no reported income. Shortly after taking office, Eby commissioned an independent investigation of the gambling industry. 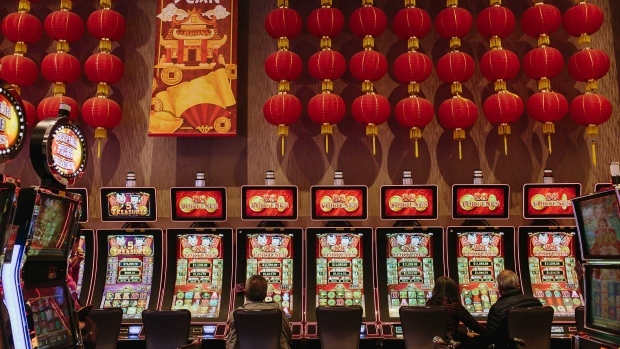 The resulting report, released in June, concluded that “large-scale, transnational money laundering has been occurring in our casinos” and warned that those funds are filtering further into the economy. Among its findings: For years the casino regulator’s anti-money-laundering unit wasn’t staffed during evenings and weekends. And until reforms kicked in earlier this year, rules requiring casinos to report suspicious customers had largely been treated as box-ticking exercises. 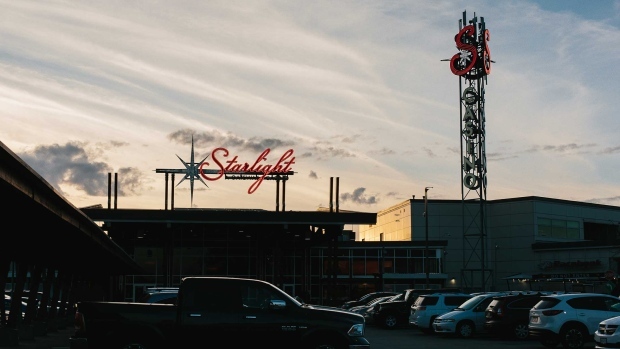 The $250,000 drop at Starlight in 2009 was one of many transactions that should’ve raised bright red flags. The following year, someone was permitted to convert $3.1 million, mostly in twenties, into chips there. About 500,000 people in greater Vancouver have Chinese heritage, representing roughly 20 per cent of the population, according to Canada’s latest census. The proportion is highest in Richmond, just south of Vancouver proper, which is more than 50 per cent Chinese. The suburb’s main commercial drag is No. ?3 Road, a boulevard lined with big-box stores and shopping centers fronted by Chinese signage. The most elaborate is the Aberdeen Centre, a curvy mall sheathed in a colorful grid of translucent glass. It was built in 1989. 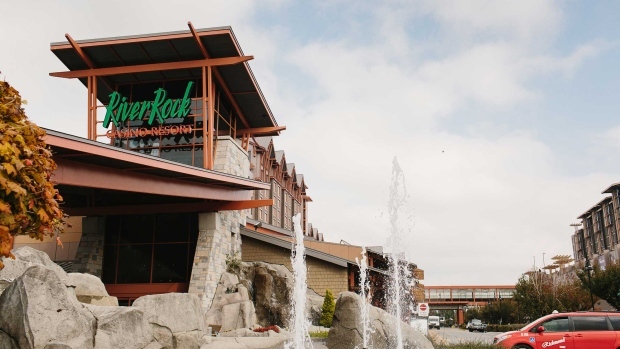 At the time, there was no such thing as an Asian mall in North America, and for six months he couldn’t find any tenants for his proposed project. So he offered to buy a 50 per cent equity stake in any store setting up in Aberdeen, giving retailers an option to buy back the shares with no interest if business flourished. Within a year of Aberdeen’s opening, almost 95 per cent had done just that, and the mall has boomed since, expanding in several phases to 380,000 square feet and more than 160 shops and restaurants, plus offices and apartments. The province’s policies are showing signs of producing the desired effect. Residential sales in greater Vancouver fell 44 per cent in September from a year earlier, to the lowest level for that month since 2012. Prices are starting to decline, and houses are staying on the market longer. But those statistics are also exposing the city’s underlying economic weakness. By some estimates, home sales, construction, and related activities account for as much as 40 per cent of British Columbia’s gross domestic product. Among the 60 companies on the S&P/TSX 60, a benchmark Canadian stock index, only five are based in Vancouver, and four of those are mining operations with relatively few local employees. (The other is the telecommunications company Telus Corp.) The aerospace sector is modest, even though Vancouver’s southern suburbs are about a two-hour drive from Boeing Co.’s Seattle assembly plant. The closest the city came to developing a significant financial industry was a 1980s penny-stock boom, in which thousands of tiny companies, many of them covers for scams, listed on the now-defunct Vancouver Stock Exchange. The brightest spot is probably the film industry, a hub for big-ticket productions such as the Deadpool movies and Star Trek: Beyond. With few top-drawer corporate positions available, salaries tend to be low. 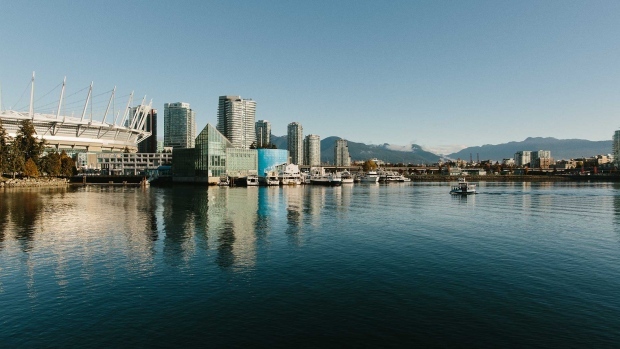 Vancouver’s median household income of about US$61,000 ranks 50th among North American metropolitan areas, below Omaha, according to research by Andy Yan, director of the City Program at Simon Fraser University. Diversifying the economy is an urgent priority for civic leaders. Mayor Gregor Robertson, who is stepping down after almost a decade in office, tried to attract renewable energy startups and other cleantech companies. (More than 20 candidates are vying to succeed him on Oct. 20 in an election that’s all about housing.) The previous provincial government wanted to expand tourism and encourage advanced manufacturing of ships and aircraft. These ideas all ran into the same problem: rent that was too high. And the more that land prices have crowded out other industries, the more the economy has leaned on real estate—a vicious cycle with no obvious exit. Building a global business in Vancouver isn’t impossible. Just ask Wilson, who founded Lululemon there in 1998. The yoga-inspired apparel brand was quintessentially Vancouver from the start—a little crunchy, a little high-tech, a lot expensive. And though it now has stores in 13 countries and a New York stock market listing, its headquarters remain near the city’s waterfront, just off a jogging path jammed with runners wearing Lululemon products. Retail lightning strikes don’t come much more electric: It wouldn’t be an exaggeration to say that the company changed how people dress, making Wilson one of Canada’s richest citizens and generating dozens of imitators in an athleisure category that now has more than US$50 billion in annual sales in the U.S. alone, according to researcher NPD Group Inc.